Ms. Rodriguez is co-director of Behavior Changes. She has a specialist degree in school psychology from Florida State University as well as a masters degree in Counseling and Human Systems. Ms. Rodriguez is an adjunct instructor with the University of West Florida and Northwest Florida State University. Ms. Rodriguez has 12 years experience in providing ABA services. Her experiences in ABA include behavioral management for high risk youth with developmental delays, maladaptive behavior reduction for children and adults through Florida Medicaid Waivers, and early literacy, reading, and language assessments. Ms. Rodriguez lives in Defuniak Springs, Florida. Dr. Stout is co-director of Behavior Changes. For 8 years he was professor of psychology at Jacksonville State University (JSU) where he taught graduate and undergraduate courses in psychology and applied behavior analysis and remains adjunct instructor. Dr. Stout has published on several topics in basic learning theory. He has maintained a parallel interest in ABA, of which he has 14 years experience, including direct therapy, parent training, and special education consulting. Venues include schools, group homes, day treatment centers, and an institution for citizens with developmental disabilities. Dr. Stout lives in Gulf Breeze, FL. Chasity Evans became a Board Certified Behavior Analyst in 2014. She holds a Master of Arts degree in Exceptional Student Education from the University of West Florida. Chasity is also a graduate of the University of South Alabama with a Bachelor’s degree in Psychology. Prior to joining Behavior Changes, Chasity worked as a behavior therapist at an outpatient therapy clinic and most recently, as a BCBA at a local autism center. Martine is a BCBA and has been in the field of Applied Behavior Analysis since December of 2012. She has earned a bachelors degree in Psychology and a masters degree in Special Education with a focus in Autism. Martine has experience working in community, home, clinic, and school settings, as well as working in the north and south regions. Martine is highly passionate about ABA and working with children and their families. Her specialties include working with nonverbal children, children with a high level of maladaptive behaviors, and increasing teen social skills. She also has experience working with children who communicate via ASL. Additionally, Martine is highly knowledgeable in the ABLLS-R, PEERS, and VB-MAPP. Colleen Lama, M.S., CCC-SLP, BCBA is a Speech-Language Pathologist and Board Certified Behavior Analyst who has experience with both children and adults. She combines both her speech-language and behavior skills to provide quality therapy services. A graduate of the Ball State University (BS, 2010) and Florida State University (MS, 2012), Colleen is licensed by the State of Florida and holds a Certificate of Clinical Competence from the American Speech–Language and Hearing Association (ASHA). Colleen became a Board Certified Behavior Analyst (BCBA) in 2015. Colleen has a variety of experience working with the pediatric population in both home and clinic settings. She specializes in early intervention, feeding disorders, and verbal behavior therapy. She is skilled with implementation of the verbal behavior milestones assessment placement program (VB-MAPP) as well as Picture Exchange Communication (PECS). She also has extensive experience working with fluency, receptive and expressive language delays, articulation impairments, pragmatics, and augmentative and alternative communication (AAC). Colleen takes pride in working with children and their families to provide exceptional therapy. Megan Merrell also known as “Miss Megan” is a master’s level board certified behavior analyst with over 12 years of experience working with children, adolescents, and adults with autism spectrum disorders. Megan began her career as a behavior technician in 2003 while pursuing a bachelors degree in speech and hearing science at The Ohio State University. Her passion to applied behavior analysis continued as she earned her master’s of science in human services with concentration in mental health counseling in 2009 from Capella University and postgraduate BCBA certification from The Chicago School of Professional Psychology in 2011. Megan spent time under the supervision of Dr. James Mulick, Dr. Sherrie Ireland, Dr. Carol Bline, and fellow behavior analyst Jamie Fuller. During her supervision, Megan worked in community, school, and clinical settings implementing behavior technology and specializing in social skills development. She has experience with development and monitoring of IEPs, use of several curriculums including Relationship Development Intervention (RDI), FloorTime, TEACHH, Superskills, and social thinking. Megan is knowledgeable of verbal behavior with implementation of the verbal behavior milestones assessment placement program (VB-MAPP), Picture Exchange Communication (PEC), and American Sign Language (ASL). Additionally, Megan is skilled in conducting functional behavior assessments and creating interventions to produce behavior change along with parent training programs. 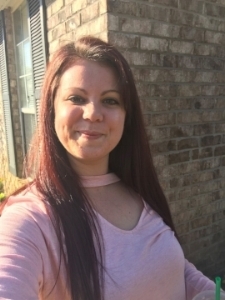 Following board certification in 2013, Megan spent time working with adults located in group homes in Nashville, Tennessee where her supervision of direct support staff was employed. Her dream to live on the beach came true when she moved to Florida in 2014. Ms. Nelson is from Boaz, Alabama. She graduated with a bachelor’s degree in psychology from Jacksonville State University (JSU). She went on to obtain a master’s degree in psychology from JSU. Her prior experiences in applied behavior analysis include The Little Tree Preschool, Learning 2 Mastery program, and the Center for Behavioral Studies in Jacksonville, Alabama. Kelsey has experience in the application of applied behavior analysis principles in autism, developmental delay, and general education settings. Mrs. Heitger holds a Bachelor's Degree from Troy University, with a minor in Applied Behavior Analysis. Her experience in ABA include working one on one with children in the classroom, as well as providing one-on-one therapy for children, adolescents, and young adults across, residential, school and in-home settings. She is an ESE teacher in Walton County and works with Behavior Changes on a part time basis. Mrs. Heitger plans to pursue her Master's Degree in ABA in hopes to become a BCBA and also certify in ESE for the school district in which she works. She has a heart for working with children and hopes to be able to provide excellent therapy in the school, clinical, and in home settings. Mrs. Heitger is a resident of DeFuniak Springs. Kendall is from Chipley, Florida and currently resides in Pace, Florida. She holds her Associates of Science degree from Chipola College and is completing her final semester at the University of West Florida with a major in ESE/Elementary Education/ESOL with a minor in Applied Behavior Analysis. Her experience in ABA includes providing one-on-one therapy for children, adolescents, and young adults across clinical, residential, school and in-home settings. Kendall plans to pursue her Master's Degree in ABA in hopes to become a BCBA and also certify in ESE for the school district in which she works.